Treasures may come in many forms: friends, money, books, cigars, wine, perfumes, diamonds…essentially personal gifts that we enjoy collecting. In order to preserve these treasures, the Boca do Lobo Studio has created a new collection designed for demanding clients who possess fascinating secrets and a desire to preserve them. 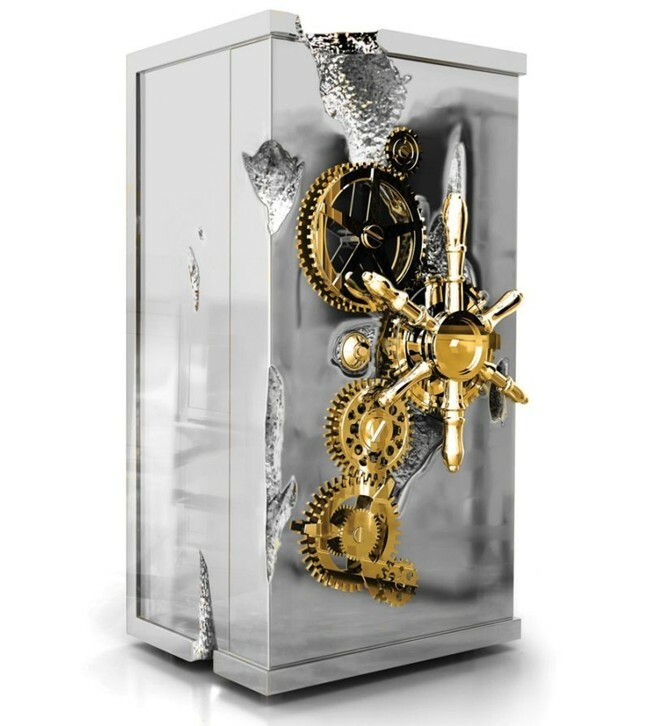 The Boca do Lobo Millionaire Silver Safe is a safe-box that promptly takes us to scenes strongly creased in our memory, deeply enriched by today’s visual culture. Born in the beginning of the 19th century, safes followed the increase of bank robberies after the Gold Rush of 1849. 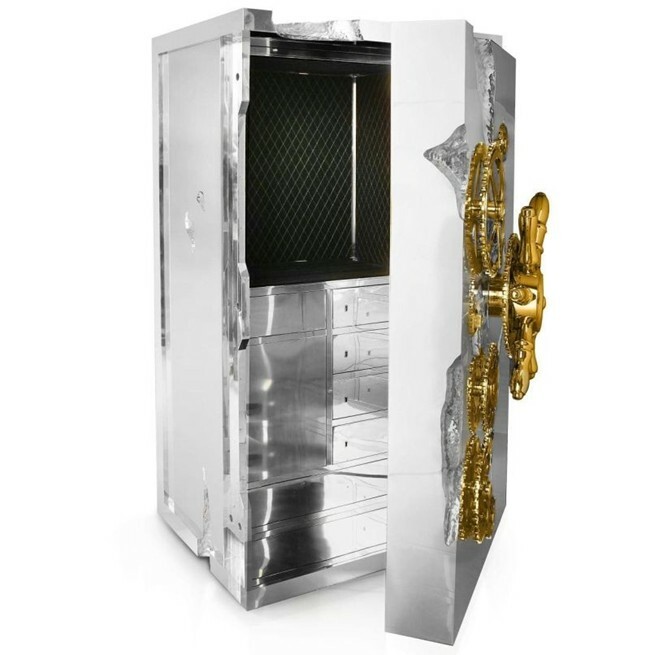 Lockable drawers and a whole structure in mahogany, parts of the Boca do Lobo Millionaire Silver Safe are coated in highly polished brass and dipped in gold. The safe itself is of indisputable value. The safe-box has a wooden structure, and is lined with polished brass. Its opening system works with a combination of a secret code (rotation system). The interior features a set of drawers and a door with a separate closing system, while its laterals are lined with a hand-sewn fabric.